On the one hand, modal specifications are classic, convenient, and expressive mathematical objects to represent interfaces of component-based systems. On the other hand, time is a crucial aspect of systems for practical applications, e.g. in the area of embedded systems. And yet, only few results exist on the design of timed component-based systems. 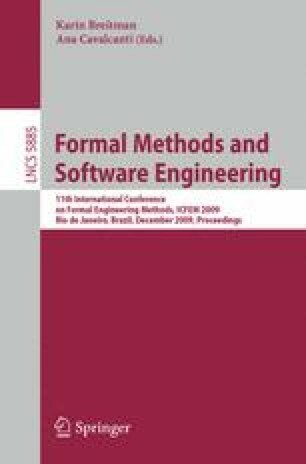 In this paper, we propose a timed extension of modal specifications, together with fundamental operations (conjunction, product, and quotient) that enable to reason in a compositional way about timed system. The specifications are given as modal event-clock automata, where clock resets are easy to handle. We develop an entire theory that promotes efficient incremental design techniques. This work was funded by the European project COMBEST, IST-STREP 215543.